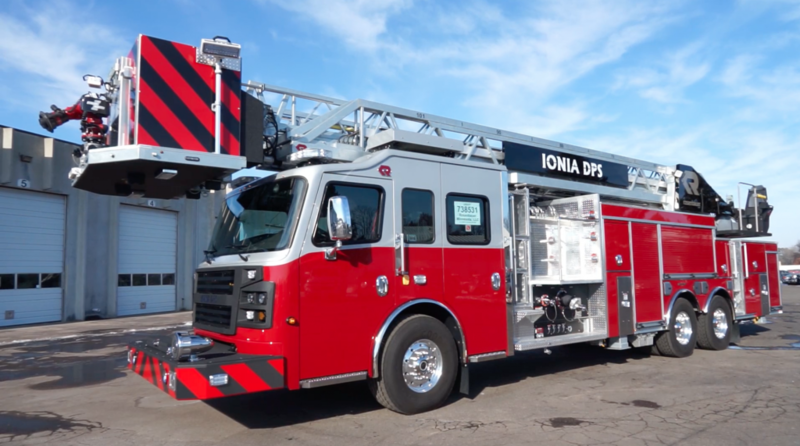 FLSI is proud to be involved with the Ionia, Michigan 101 Foot Cobra Platform. This unique truck is loaded with features including the Aerial Command Seat (with single joystick control), Elevated Safe Scene Pump Panel, and Remote Aerial Control. Rosenbauer factory personnel are taking this truck on a demonstration tour throughout the country, wowing every department she visits. Click here to check out this truck.